Quair Books specialises in modern literary and visual cultures, particularly alternative, different and radical authors/artists, presses and histories. We also hold a small general stock, with a focus on rare and quirky volumes and scholarship across the humanities. 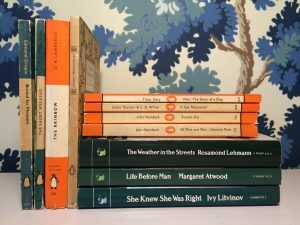 Like other collectors and bibliophiles, we are drawn to unique books and interesting pedigrees, but also appreciate the broad spectrum of collecting, having a particular fondness for series such as VMC, GMP and The Women’s Press. York National Book Fair 13-14 Sept.
London Christmas Book Fair 7 Dec.